It is my understanding (and I could very well be mistaken — and I’m sure that if I am there will be at least one person willing to step forward to realign my understanding) that “Calvinism” is based upon the tenet that no one has the freedom to accept or reject God’s offer of salvation through faith in Christ (irresistible grace). When I began to learn of God, I was in kindergarten. What I was taught made perfect sense to me and I readily accepted it. In fact, to me, it really was “Good News” to learn that such was the case! I was glad to learn that there was a loving God looking out for me and everyone on earth. It answered a lot of questions and gave me a sense of peace and security. Of course, as I grew older, the simplicity of God was lost. The more I learned, the more of life that I experienced, the more lost and confused I became. Finally, at age 16, I was so lost, confused and angry that I made a very serious and sincere attempt to leave this earth so that I might speak with God in person. When that failed, I made the decision to reject all that I had been told and taught about God and to live life as I saw fit. So for the next 30 years I did and felt exactly as Charles said he did (see quote above). Where Charles and I differ is in how we see our salvation. According to the full account Charles gives in his Defense of Calvinism, he does not see salvation as being a response to the wooing, warnings, thunders, and whispers of God’s love. Instead, Charles says that we are saved simply and only because God decided long ago whom (among the called) he would choose. Charles believes this, even though he makes such statements as, “When I was coming to Christ,” and “It was He who turned my heart, and brought me down on my knees before Him” (emphasis mine). Why would mankind even need an excuse if it is God who determines who will and will not be saved? An even better question is, why do the Scriptures admonish everyone to repent of their iniquity if God has already determined the outcome? Why does Jesus repeatedly say, “To those who overcome, I will give…”? What is to overcome? If I have no choice in the matter, then what am I overcoming and to what purpose? 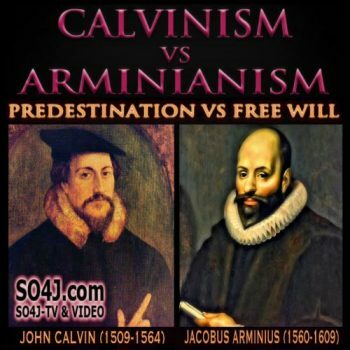 According to Calvinism, the decision has already been made! What is the point of my existence if I am not one of the elect? If we have no choice in the matter, then why did God send His Son to die on the cross? Why does God bother with all the wooing and warning and thundering and whispering if it is not to elicit a response from us? Why do we need the Bible to tell us about God’s desire for us if He has already decided who He is going to keep and who He is going to throw away? Why did Christ tell His disciples that “No one may come unto the Father but through me,” and then instruct them to tell all the nations? According to Calvinism the decision has been made! Wouldn’t it be a moot point? What was the point of all the parables Jesus taught? Most importantly, what is the purpose of judgment day if we never had any choice to accept or reject the Truth that God has made known to us? 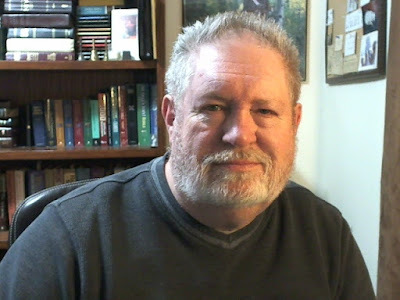 YES, I AGREE… NO ONE WOULD BE SAVED WERE IT NOT FOR THE GRACE OF GOD… BUT DO WE NOT HAVE THE OPTION TO ACCEPT OR REJECT HIS OFFER OF SALVATION AND RECONCILIATION THROUGH FAITH IN CHRIST? We cannot 'turn to God' if we have no choice in the matter. God made the law so that we might know what sin is. God fulfilled His covenant with mankind through Christ Jesus. If we have no freedom of choice, there would be no need for us to know what sin is and thus no need for redemption from it. Jesus died for nothing if we have no choice to believe or not. Through whom was everything created, and by whom is everything held together? Who wrote the Bible? Who laid His life down for you? In whom do you place your faith? Which ones are from earth and see only partially? Which one comes from heaven and knows all; John Calvin, Charles Spurgeon, or Jesus Christ? FINAL THOUGHT: Even Jesus called for people to repent (Mark 1:14-15). Why call and invite people to turn from their wickedness and toward God if we have no choice in the matter?